Tonight we attended the Tilley Store to hear a presentation by Dag Georing and Maria Coffey owners of Hidden Places Travel. In 1991 they started to explore the world's most spectacular places as photographers and writers. Several years (and several books) later they began sharing their experiences with others by developing and leading adventure tours. 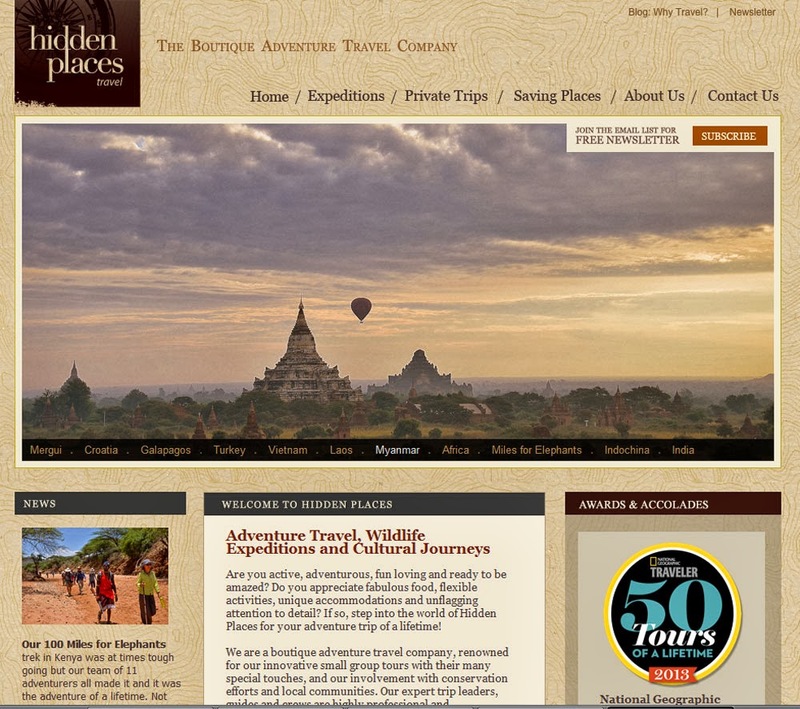 In 2000 they founded Hidden Places Travel and quickly became renowned for their unique, off-the-beaten-track itineraries. Dag and Maria support local communities and conservation projects. That provides their trips unprecedented access and a loyal following of repeat guests is a testament to our professionalism and nurturing approach. In 2013 Hidden Places Travel was recognized by National Geographic Traveler who selected “100 Miles for Elephants” as one of their ‘50 Tours of a Lifetime: 2013's most authentic, most innovative, most immersive, best–guided, and most sustainable tours. The evening started with appies and time to tour the store and see the diversity of products offered at the Tilley Store. Jennifer Robinson, store manager introduced Dag and Maria and the presentation began. We were treated to reviews of hidden places in Vietnam, Laos, Indochina, Myanmar, Africa, India, Mergui, Croatia, Turkey and the Galapagos. The tours looked amazing and each certainly seems to meet their goals of providing trips that are a work of art, honed to perfection and filled with the ‘hidden gems’ that are their trademark. This most enjoyable evening ended with draws for door prizes and everyone went home with a beautiful gift bag. Thanks Jennifer. For more pictures please go to our Facebook page. Delhi Rental Cars - japji Travel India offers Muv's and suv's rental cars hiring in delhi india for rajasthan, agra jaipur, shimla manali tours, delhi taxi booking, cars on hire basis india, rental cars in delhi, india rental cars, delhi rental cars company, corporate car rental india, rent a car india, self drive cars delhi, cars on monthly lease delhi. Goa holiday packages from Delhi- Tour package in India leading travel agency offers goa tour packages, goa tour packages from delhi, goa holiday packages from delhi, cheap goa tour packages from delhi, cheap goa trip package from delhi.